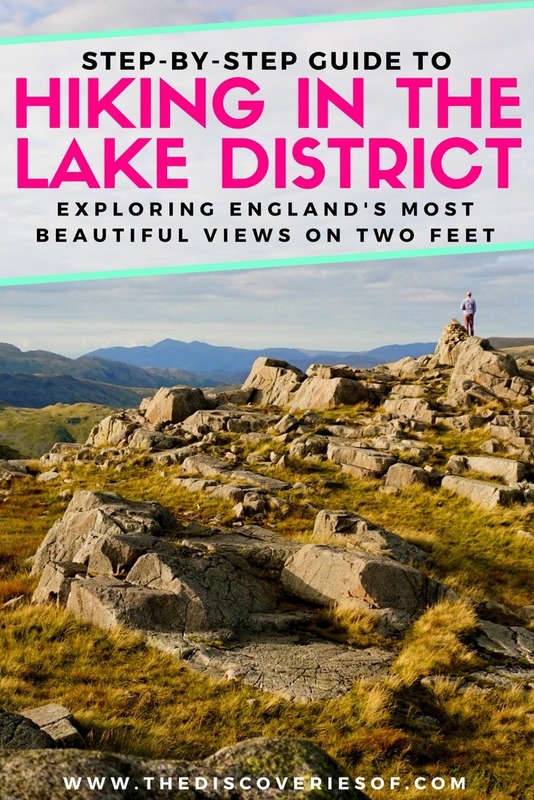 Walking in the Lake District: A Step by Step Guide – The Discoveries Of. The Lake District is one of the best places to go walking in the UK, thanks to its rugged terrain and picturesque views. Walking in the Lake District is a great way to see a different side of the UK and one of England’s most beautiful spots. The Lake District is a poorly-kept secret: one of the most beautiful spots in the UK, and at the top of many a UK bucket list, it’s the perfect playground for those looking to challenge themselves whilst taking in the panoramic views and ever-changing landscapes for which the region is famous. What’s so Special About Walking in The Lake District? Why Should You Hike in the Lake District? The area that we now call The Lake District has long been inhabited, but it was only in the late 18th century that The Lake District’s reputation for its beauty began to grow. 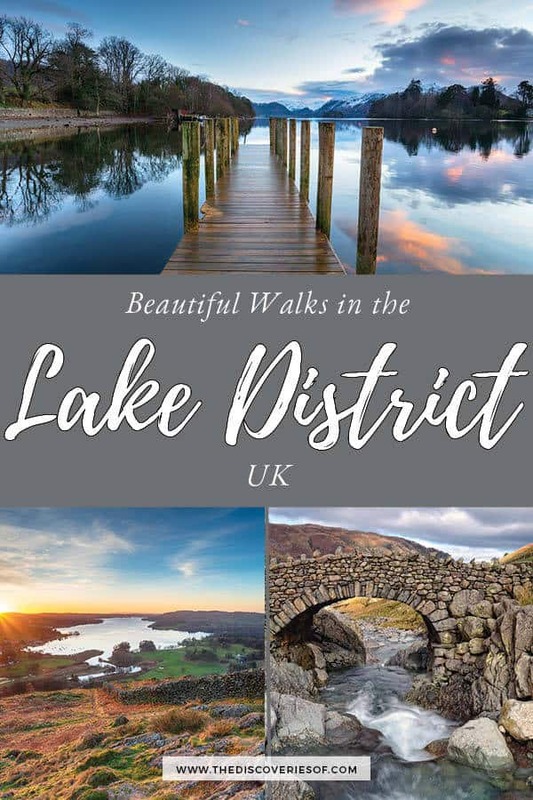 Romantic poets and writers such as William Wordsworth and John Ruskin were heavily influenced by the Lakes and wrote about their tranquility and the scope to appreciate nature within the district. The Lake District takes its name from the fourteen lakes and tarns dotted across the region. The whole area is the product of over 500 million years of geology in action. Geology that has produced the scenic landscapes we can appreciate today. 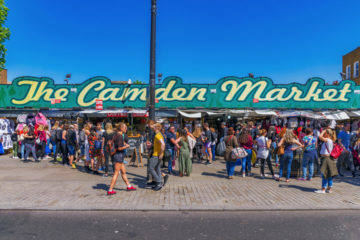 When it comes to varied scenery and grand panoramas, there are few areas in the UK that can rival it – which is why it’s a popular destination for hikers and walkers setting out to explore the region on two feet. 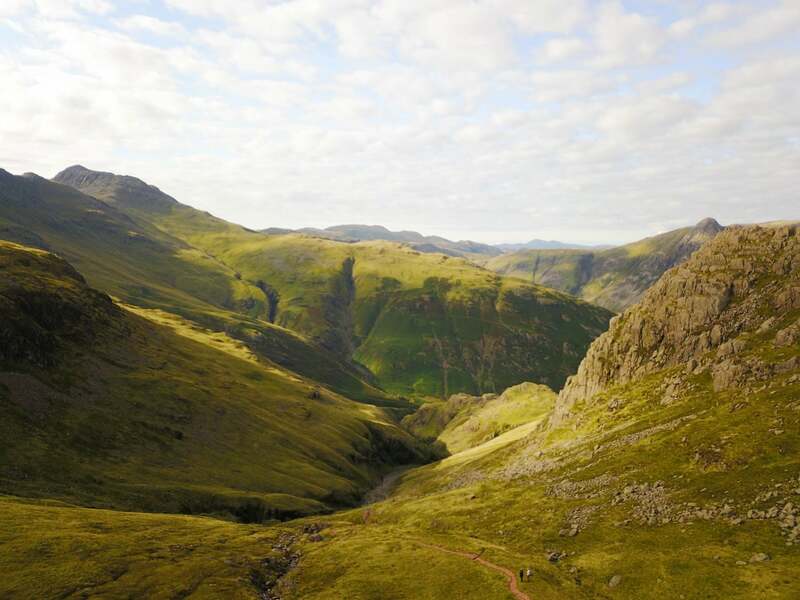 Golden light setting on a dusky green fell, slate crags jutting above deep valleys and almost 2,400 square kilometres of England’s largest national park for you to explore. 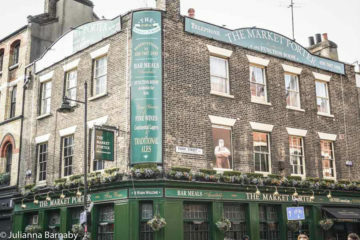 There are few regions in England, and the UK as a whole that is so perfectly suited to hikers, with hikes ranging from a few hours to several days. As a whole, the Lake District is a land of superlatives: England’s highest mountain (Scafell Pike), its deepest lake (Wastwater) and largest (Windermere). Slate, limestone, glaciers and meltwater have all combined to create long U-shaped valleys and jagged ridges – the outdoor lover’s playground. Here’s a sneak preview of what to expect. 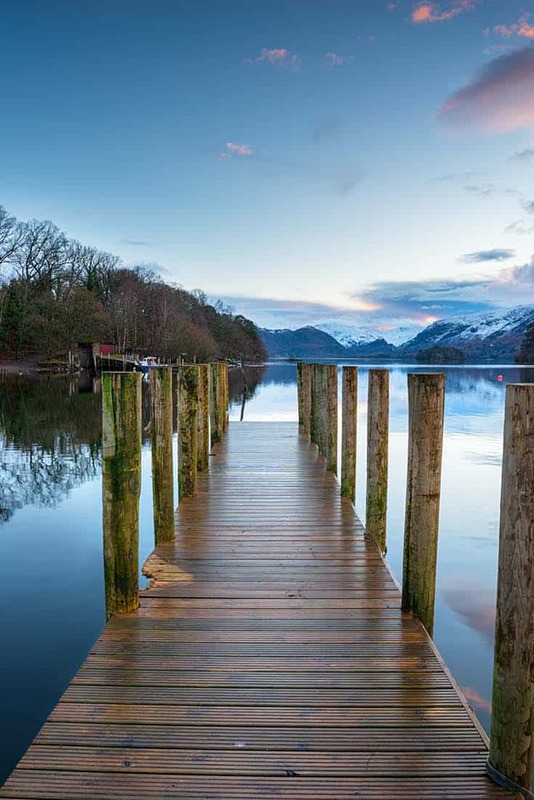 There’s no better time to visit the Lake District – the region has just been named as a UNESCO World Heritage Site, in recognition of the district as a cultural landscape of international significance. Sure, the impressive natural sceneries have played a large part in this designation, but it’s the combination of these sceneries with the farmed landscapes and the district’s role in conservation within the UK that have led to the award. 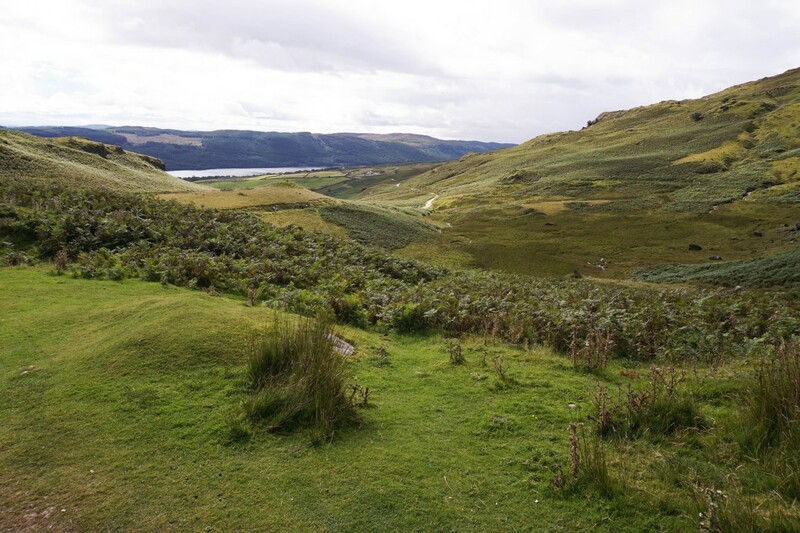 One of the beauties about walking in the Lake District is the sheer variety of landscapes and hikes you can see in the course of a few days or a week. There are daily guided hikes between April and October (many of which are free) if you’re not quite confident enough to take on a hike by yourself. The walks are graded easy, moderate or hard, so you can know what to expect before you go. Alternatively, you can get an OS Map and plan your routes yourself. Our favourite hikes are the hike from Wrynose Pass to Cold Pike and the hike to the top of the Old Man of Coniston, returning via Goat’s Water. We call this the “cheat’s hike” because it’s a relatively easy way to get to some pretty breathtaking views with only an hour or so’s worth of hiking. Unlike some of the other hikes in the Lake District, the hike to Cold Pike tends to be relatively quiet, so you can soak in those views in peace and quiet. Start from Wrynose Pass on the well, trodden but unmarked footpath leading into the valley. The views from the parking spots are impressive enough: a small taste of those to come as the walk progresses. It’s a relatively gentle climb away from the pass. Almost as soon as you start the hike, you’re treated to some ranging views through the Duddon Valley and out to the sea. The path passes alongside Red Tarn, a small lake nestled in the valley between Cold Pike and the Pike of Blisco. You can turn left and take the path up to the top of Cold Pike from here, but if you carry on straight ahead along the path as it starts to drop into the valley, you are treated to some pretty stellar views. After that, it’s a somewhat steep, but short pull up to the top of Cold Pike (you might need to scramble a bit to get to the summit). Looking at the view, you can see why the Lake District has inspired generations of poets, writers and painters – on one side you can see the whole of the Duddon Valley and the sea, on the other down towards Skelwith Bridge and Elter Water. You can return the way you came, or via a path that will take you straight down to the pass without ducking back via Red Tarn. Either way, the whole hike shouldn’t take more than a couple of hours, even with plenty of time to soak in the views at the summit. The Old Man of Coniston might not be the tallest fell in the Lake District (that title goes to Scafell Pike), but the hike up to the top from Coniston Village is varied and comes with plenty of views to keep you distracted from the sometimes steep pull up. The fell is difficult to miss from the small village of Coniston. 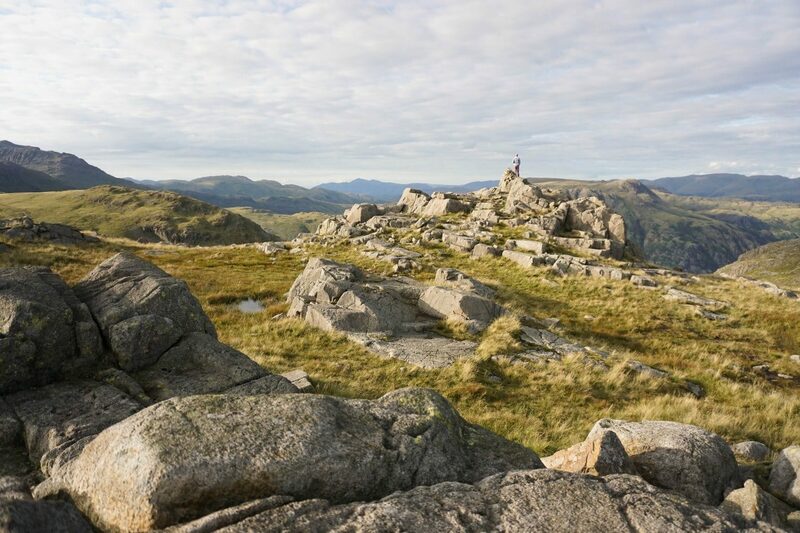 Dominant and craggy, it’s the perfect fell hike for those that want to test their legs and take in some breathtaking scenery at the same time. 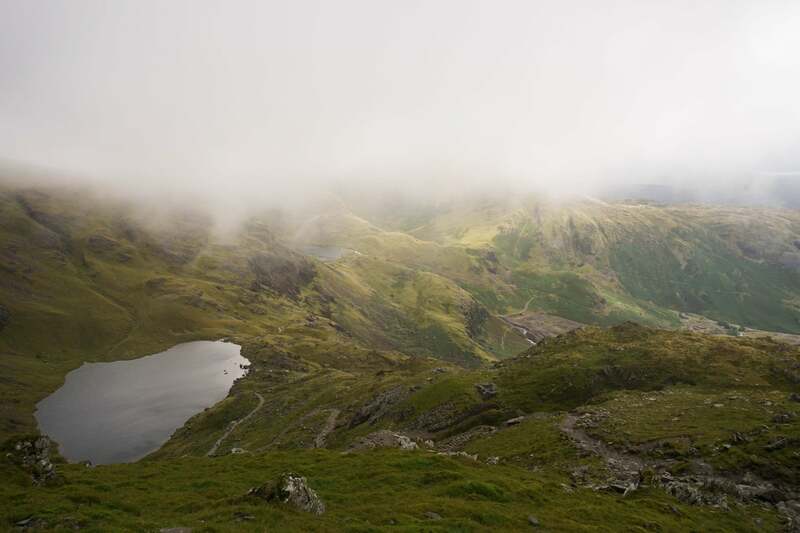 There are several routes up The Old Man of Coniston from Coniston Village – the “Tourist Route” is the most popular and the most direct. Don’t let the name put you off, this route takes you out from the village alongside the fast-flowing Church Beck before scaling up the eastern side of the mountain. The first stage out of Coniston is relatively easy, but as the path diverts away from Church Beck and up towards the old quarry works, it becomes increasingly steep. There are plenty of opportunities to stop off along the way if the walk proves a little hard on the legs – you’ll want to stop to look as Coniston Water and the village views unfurl as you climb higher and higher. 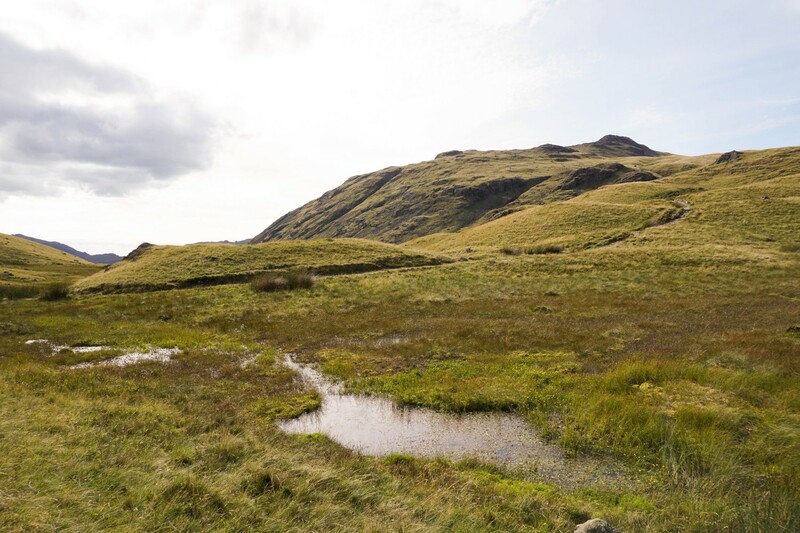 The last stage of the hike up to the summit starts at Low Water – from where the top of The Old Man of Coniston is just about visible. Despite its name, Low Water sits at an altitude of nearly 550 metres, only 250m lower than the top of the mountain. Still, those last 250m are steep, with a less-defined and somewhat rocky path. On a clear day, you can see out past the village towards Esthwaite and Windermere, but if the cloud’s in, your focus will probably be on getting to the top. As with all British mountain climbs, you’re best off doing the hike without expecting views at the top as the clouds come and go as they please. 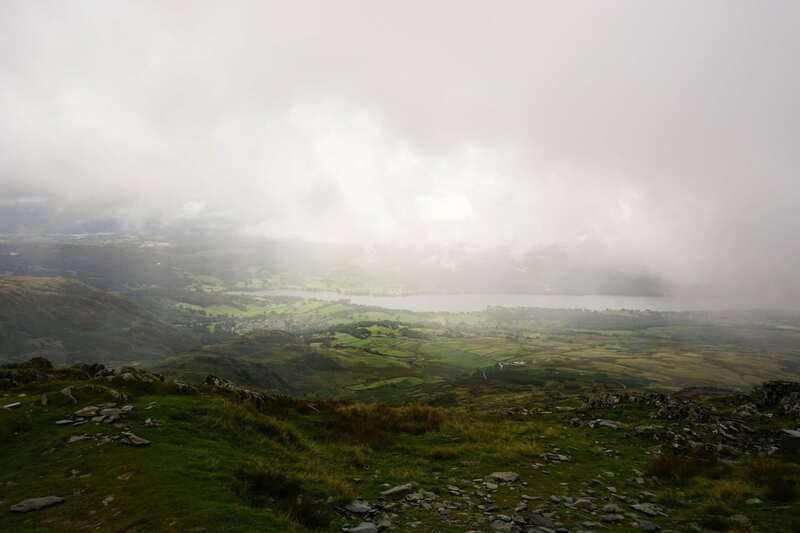 In our case, we were well within the clouds at the top of the Old Man of Coniston and visibility was only a few metres. It can also be quite windy (come prepared with layers) – even in the middle of (an admittedly slightly chilly) August, we were loath to stand out of the shelter of the cairn at the top for more than a few minutes as it got quite cold quite quickly. The descent and hike back down, this time via Goat Water is just as scenic as the way up. The path, which wends its way down to Goats Hause and then to Goat Water, offered some impressively dramatic panoramas of the tarn and Dow Crag next to it. From there, it’s a matter of a meandering descent down to the car park and on to the village via the old Walna Scar road. You can hike up to the top of The Old Man of Coniston via Goat’s Water and back via the Tourist Path, but this way you get a gentler descent and great views of Goat’s Water on the way down. You could also climb and descend via the Tourist Path. It is the quickest way (the Walna Scar and Goat’s Water route is significantly longer, hence the gentler gradient) but it would be a shame to just repeat the same path on the way down. 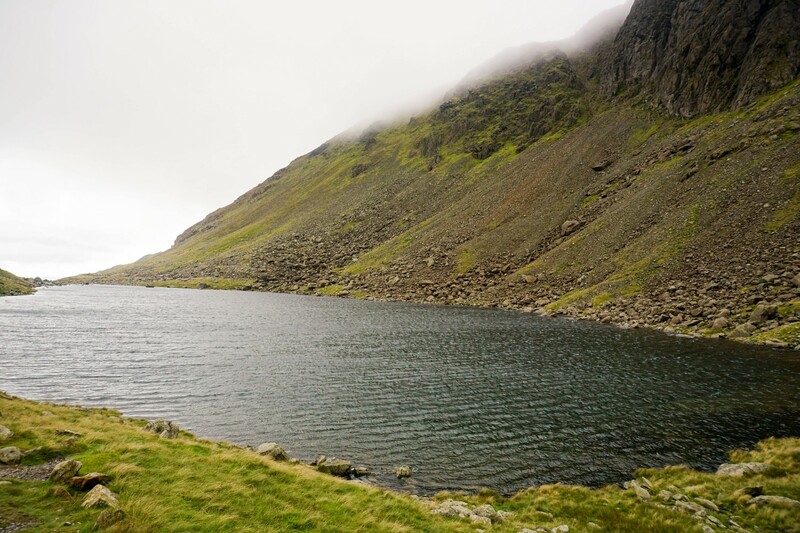 The highest peak in the country, Scafell Pike is an achievable hike for the reasonably fit. It can be a bit difficult to navigate at the top in poorer weather, so make sure that you bring a map and a compass if there’s going to be a chance of lower visibility. Wear suitable footwear too, your feet will thank you for it. Located to the north-east of Keswick, Blencathra is a nice way to get away from the crowds and see a quieter side of the Lake District. Often called by it’s old Cumbrian name “Saddleback”, there are a number of routes up to the top – going via Hall’s Fell is not too difficult but exciting enough to keep you on your toes. This is less of a walk and more of a gentle detour from the town of Ambleside. 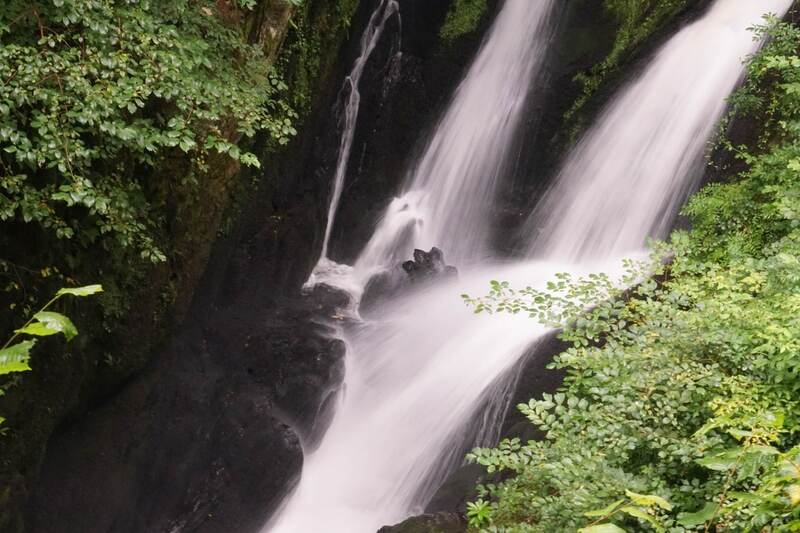 Stock Ghyll Force is a 20 minute walk away from the town, largely through pleasant natural woodland and past an old mill. It’s perfect for a rainy day when you still want to get some fresh air – you’ll stay a lot drier thanks to the tree cover. A windproof and water resistant softshell jacket. Waterproof jacket if the weather’s going to be wet. Don’t forget: the temperature drops 1℃ for each 150m you ascend, so it’s never as warm at the top of a fell as it will be at sea level. For the colder months: warm jumper and/ or fleece. Hat, gloves and a buff. The English Lakes South-Western Area OS Map OL6 covers both of the hikes described above and the whole of the south-western area of the Lake District. It can be tempting to set off without a map but it’s wise not to underestimate how quickly the visibility and terrain can change – and a detailed map is always useful if you decide to change your route at some point during the hike. 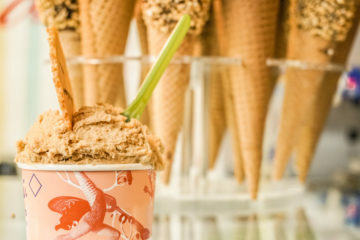 Looking for something a little more relaxing? How about our guide to the best beaches in the UK. I just love the Lake District and definitely want to spend more time there, so pinning this post for future references. It’s so nice to hear about relatively easy hikes with great views. Loved the video footage too. This is such a great post! I live in Manchester so I’m really close to the Lakes but I’ve never been. Hopefully I’ll get round to it this autumn. Your pictures are gorgeous! Thanks Sarah – I’d 100% recommend a trip. I’d ducked in and out before but not explored like I did on this trip – get to it as soon as you can. WOW, I love the pictures and videos you have included. Lake District has been for a long time on my list and I feel super bad I didnt make it there as I was living in the UK for half a year and dating a Brit for more than a year. I love hiking too so this is awsome and Im definitely comming back for the tips, when I finally make it there. 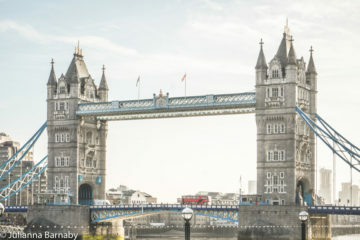 Thanks Diana – so glad that you like the pics and video, it was such a great trip that I’m glad they do it some justice. The Lake District is such a spectacular area – I’d put it at the top of your list for your next UK trip!